If I had a penny for every time someone asked me “ Diva what’s the best way to get fit and stay fit, cardio or strength?” I would be a wealthy woman. Being a very active person throughout my life, I have realized that there are several ways of thinking in the fitness world, and that each type of exercise will affect you differently. Yes it can be confusing, and your goals can change every couple of years, so let’s take few minutes to dig-in and figure out how we can all get to the answer. 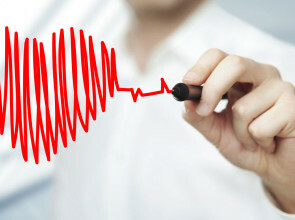 Cardiovascular exercise raises your heart rate and makes you sweat—and sweat is great for your ticker. Whether it’s jogging, cycling, brisk walking, or group cardio classes, it will make your heart stronger. Weight training and strength-based group classes, build muscular endurance and strength. They can lower your chances of osteoporosis because they can strengthen your bones as well as your muscles. Strength training also helps with balance, making daily tasks —like climbing stairs, getting out of your car, and lifting groceries— much easier. So how do you get fit and stay fit? 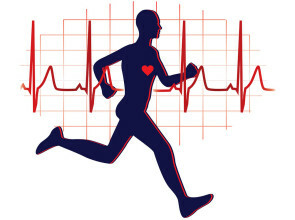 On average you should work towards getting 2.5 hours of cardio a week at a moderate-intense level (meaning breathless). This translated into about 30 minutes a day. Know your numbers, find out what your training heart rate zones are for your age. These numbers benefit everyone and can be calculated by scheduling an appointment with one of our fitness professionals. The recommendation for strength training is 2-3 times per week. Exercises should engage all major muscle groups: arms, back, chest, abdominals, and legs. Keep in mind though, that there needs to be a recovery period between workouts. Listen to your body and try getting 48-hours of rest between strength workouts. Flexibility and balance training are a must. In a perfect scenario, this would be done twice a week for about 30-minutes. Consider that those 30 minutes can be broken down into 10 minute segments. For example, you could stretch for 10 minutes when you wake up, another 10 in the middle of your day, and then again before bed. As you can see, the key to getting and staying fit is balance in your fitness routine. This is what has kept me focused on my fitness goals for over 30 years! I take it one step at a time, I stay consistent, I mix it up and I just have a blast while doing it!